JK Rowling's magical book comes to the big screen. 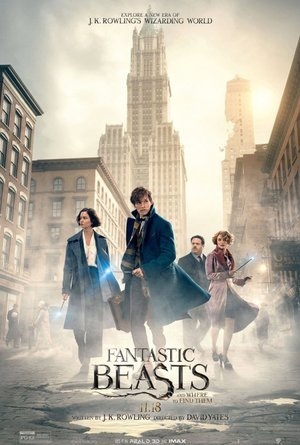 Fantastic Beasts and Where to Find Them is a 2001 book written by British author J. K. Rowling about the adventures of writer Newt Scamander in New York's secret community of witches and wizards seventy years before Harry Potter reads his book in school. Be sure not to miss a chance to see this action-packed movie full of weird and wonderful creatures in Cine Gran Sur everyday at 15.25.